Bad credit can put quite a wrench in a person’s plans for the future. Buying a home or car, applying for employment, and obtaining a credit card are much more challenging goals to achieve with a low credit score. Some people have the luxury of working with a credit repair agency to work through credit issues, but not everyone can afford the help. 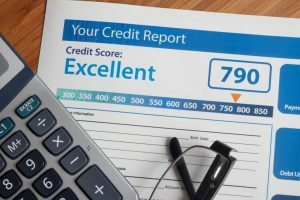 Though many bad marks on an individual’s credit history will fall off of the report after seven to ten years, most people do not want to sit and wait that long to move on with their lives. Here are a few helpful tips to work on building a positive credit history quicker than seven to ten years. Every single legal citizen of the United States is entitled to one free credit report from each of the bureaus every year. Not everyone is aware of this opportunity, but do not neglect the chance to check in for free. Have a current credit report sent each year through a simple online questionnaire. Free credit report sites are a dime a dozen. Just put a little time into researching the most effective sites and get moving in the direction of financial freedom. Credit reporting errors are unfortunate, and unfortunately, they are common. Once a thorough credit workup is obtained, do not hesitate to dispute any obvious mistakes. Individual complaints have to be addressed by the bureau within 30 days of the rebuttal. Successfully removing common credit errors can substantially boost a person’s credit rating, depending on what the error entails. It is worth taking the time to follow through with a disputed charge. When a large debt is owed and becomes severely past due, creditors are far more willing to negotiate on the actual amount owed. It is as easy as a simple phone call. Reporting agencies will provide a number to call where any grievances will be heard and dealt with swiftly. Sit down and have a conversation with these people. They will work with anyone that is trying to pay their debt. Do not let pride deter the opportunity to erase bits and pieces of troublesome debt. Consolidate debt and credit cards. Debt consolidation services will do just what their name suggests. They will pay off several creditors and pick up the debt owed. This way, the person can pay one easy payment each month. Credit cards have similar services. Consolidating credit debt onto one credit card with a lower interest rate can be extremely effective in relieving the stress of maintaining several credit accounts. Becoming an authorized user on someone else’s credit card is another method for building positive credit. Someone with a lot of trust can add a friend or family member to their credit account, and that person will also reap positive credit benefits from timely payments.